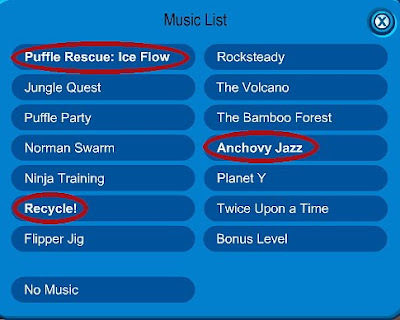 Club Penguin Cheats by Mimo777 Club Penguin Cheats by Mimo777: Club Penguin's New Loo Tunes For You! 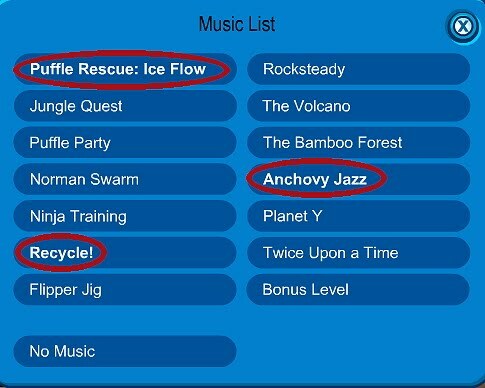 Hey, Club Penguin has three new songs for your iggy! Sweet! Which one do you like best? THIS is an awesome game! Try Blosics! sweet! i will try them in my members acount! Its three new songs not two!!! Nice! i dont know what else to say.. I like Recycle the best! The beat to it sounds like a jazz song. Love it!! Recycle looks like the kinds song for the April Fools Day Party! Woot! Your Rock Mimo! I like all of them! But if i could pick one it would be Recycle or Puffle rescue! Mimo, sorry I haven't been modding! But, today I'm starting again; is life doing good for you Mimo777? I like the puffle rescue one! it sounds really cool and dramatic, lol. Yah This New Party Will Be Awesome. By The Way Yes That Penguin In The Newspaper Is Rookie. Maybe A Box Dimension Room Could Come. I like thee jazz one!! It's the best!!! I like the recycle one because I like to recycle things and i want to save the earth hooray for the earth hooray for cp! Man, I love the "Recylce" one! It's so awesome! At first, I was like"Wait a minuet. "Recylce?" I never thought of that." Well iit's awesome!